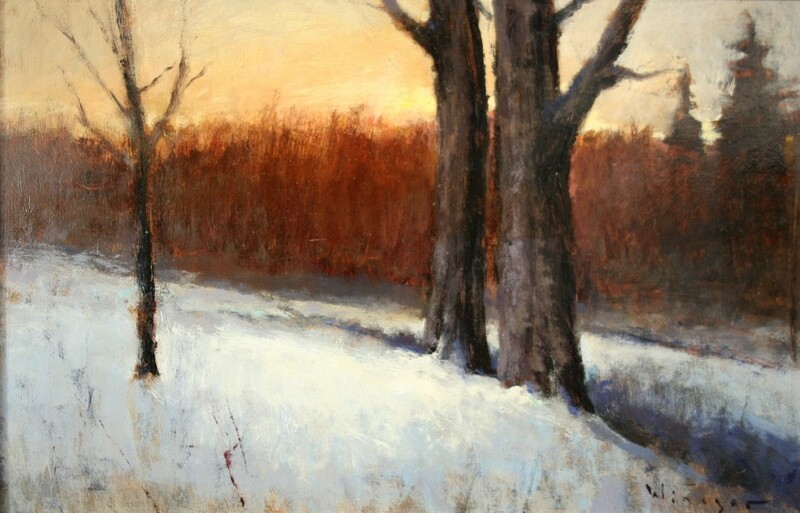 Seth Winegar likes to capture subtleties in his oils through the study of opposition. 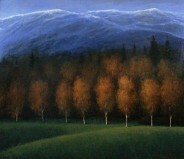 The play of light and shadow, warm and cool tones, dramatic and diminutive are all detailed in his work. 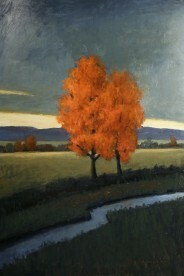 Seth Winegar creates landscape and still life paintings but is most well known for his seductive landscapes. In painting these subjects, Seth has concentrated on honing his powers of observation, especially as it concerns color, texture, form and composition. 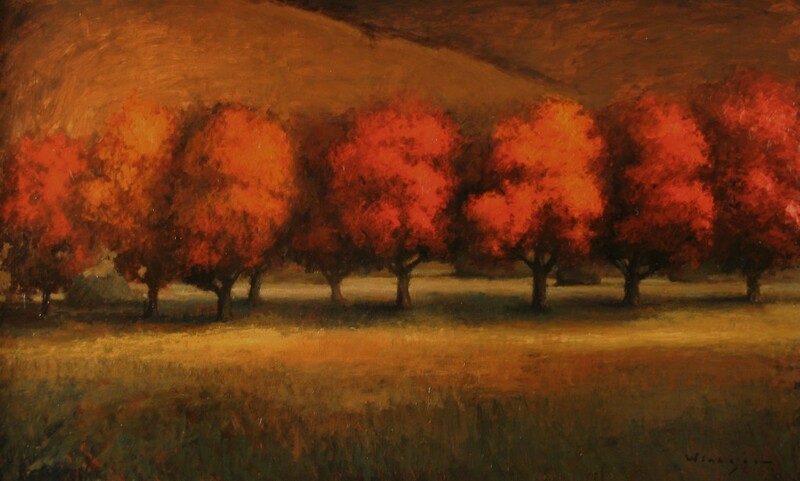 Paintings are deep in rich, thick oil strokes. In some sections they are detailed studies of the subject, then flow into lose imaginative segments demonstrating Winegar’s love of juxtaposition and glazing. You will find his paintings to be freshly vivacious, filled with tonal rhythms and dramatic movements, not often seen in the work of such a young artist. 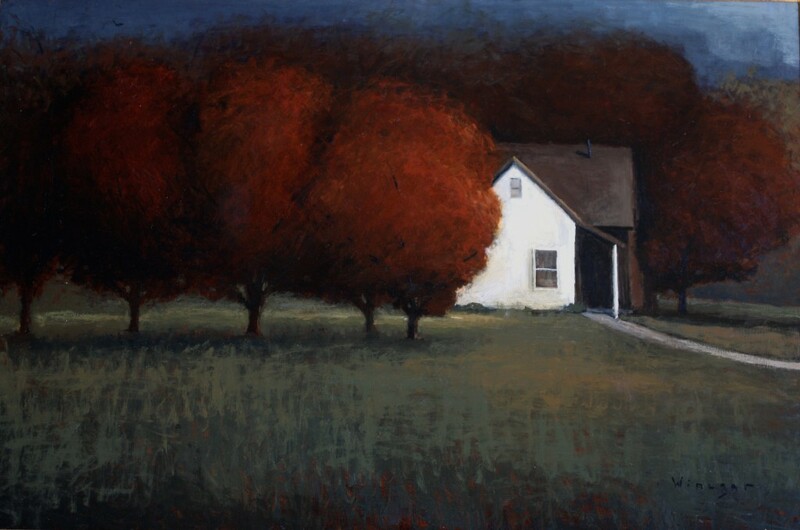 His favorite subjects are barns, old farmhouses, rivers and trees, drawing inspiration from masters such as Richard Schmid and James Whistler. “I want to capture the spirit of the scene. If a painting is truly alive, it has to have a spirit, right? 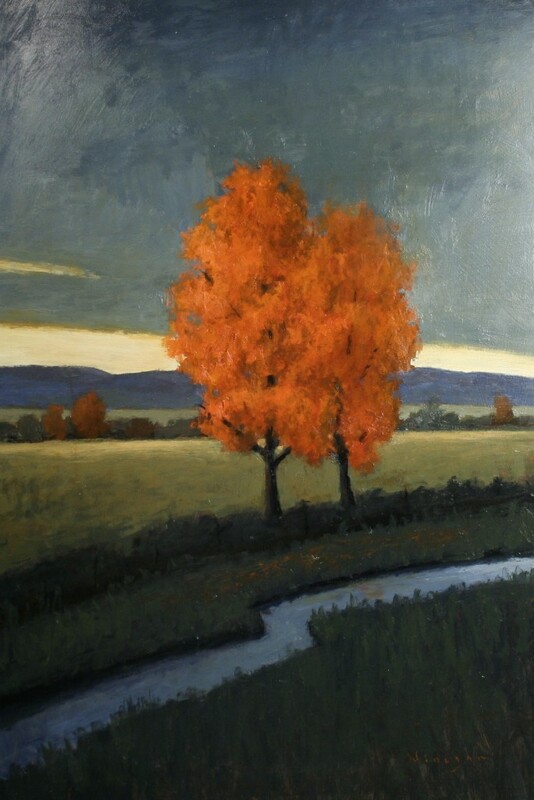 Born in 1974 in Bountiful, Utah, Seth Winegar began studying oil painting at the age of twelve. 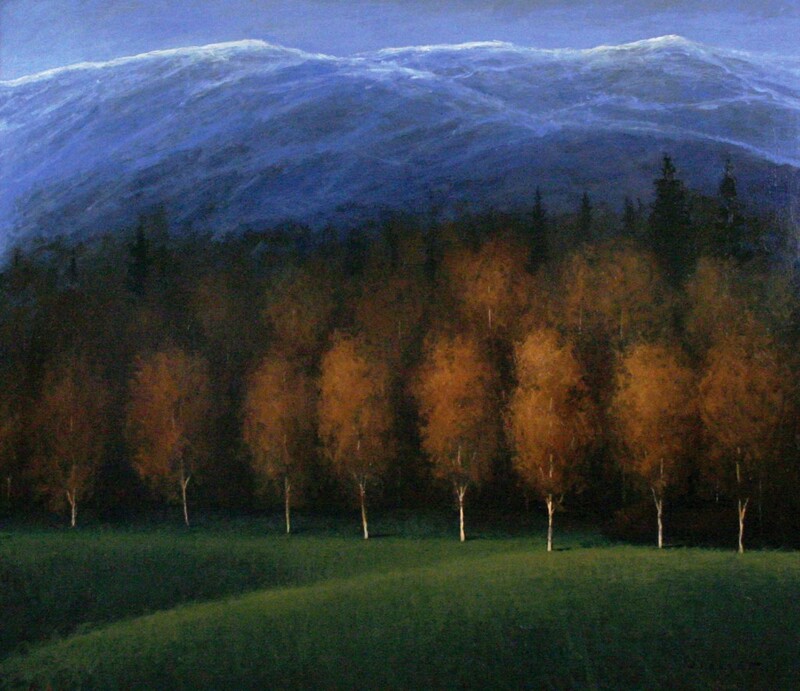 In 1997 he served an LDS mission in Cleveland, Ohio then continued to paint on his return. 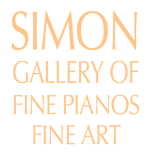 Born with cystic fibrosis, Seth received a double lung and liver transplant in Pittsburgh , PA in March 2006. Now able to breathe on his own, Seth continues to paint as a well-respected Utah artist. 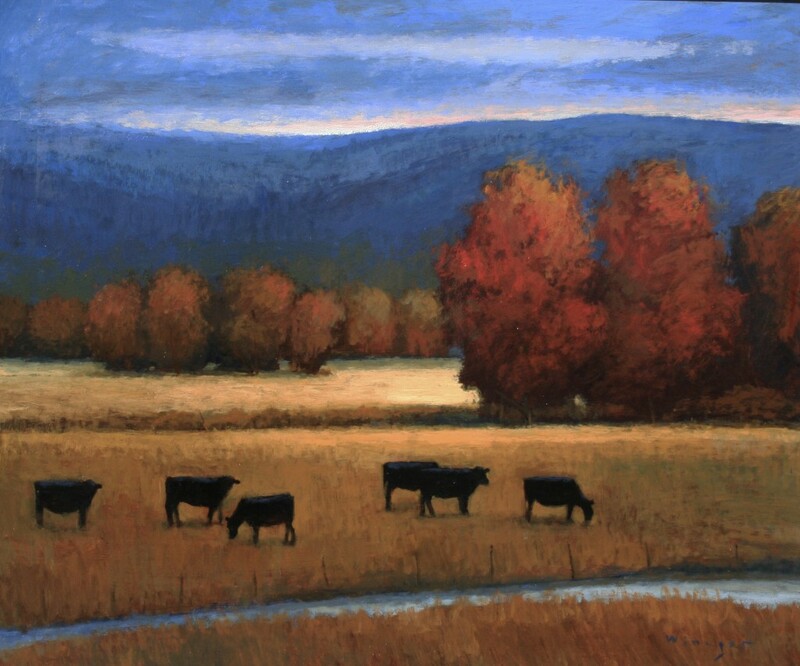 He has been featured in Southwest Art Magazine and in Western Art & Architecture Aug/Sept 2014, Seth was mentioned as among the top Western Americana landscapes artist. Oil on panel - 24" x 36"
Oil on panel - 42" x 48"
Oil on panel - 30" x 20"
Oil on panel - 12" x 18"